Anthony is a specialist criminal barrister with experience of handling the full range of criminal offences. He appears mostly as a junior on his own but has been led by both leading junior and Silk. Anthony generally practices in the Crown Court, predominantly for the defence but also prosecuting on occasion. He also accepts instructions in privately-funded matters in the Magistrates’ Court particularly for road traffic offences but also more generally. He does not shy away from giving robust advice when required in the best interests of his client. However, he also recognises that the defence advocate will often be the last line of protection a defendant has against a misconceived prosecution case. This means that notwithstanding what may appear an overwhelming case, Anthony will always fight for a client who protests their innocence. 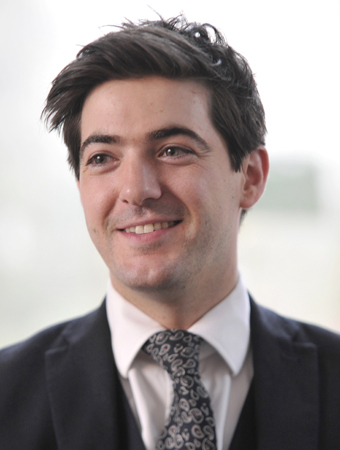 Anthony Cartin prosecutes in the case of a bouncer who has been jailed for putting a knife to a man’s throat, read more here. Click here to view the Privacy Notice for Anthony Cartin. Anthony Cartin prosecutes burglar who smeared himself in ketchup pretending to have been assaulted to gain entry to pensioners home.